You can never go wrong with the basics. 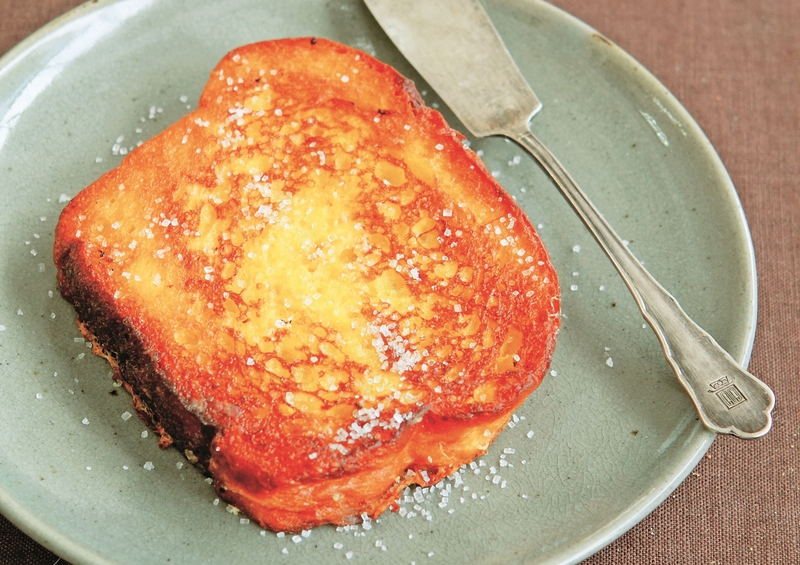 Enjoy a sweet start to your day with an irresistible slice (if not, slices) of French Toast. This recipe was first published in Flavours magazine. Whisk eggs, sugar and salt in a mixing bowl until thick and creamy. Bring milk to boil, then pour half hot milk onto the beaten eggs while stirring, add remaining milk and mix well. Add vanilla. Soak bread slices, two at a time, in the hot milk mixture until completely soaked through. Heat 2 Tbsp oil in frying pan over medium heat. Lower the soaked bread into the hot oil and fry both sides until golden brown. Remove toast and drain on paper towels. Dust with extra sugar if desired. Repeat the process with remaining bread and egg mixture.